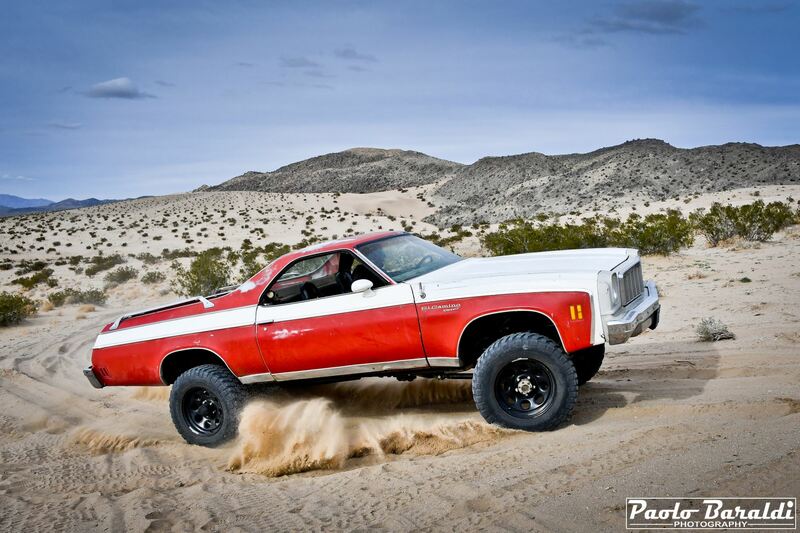 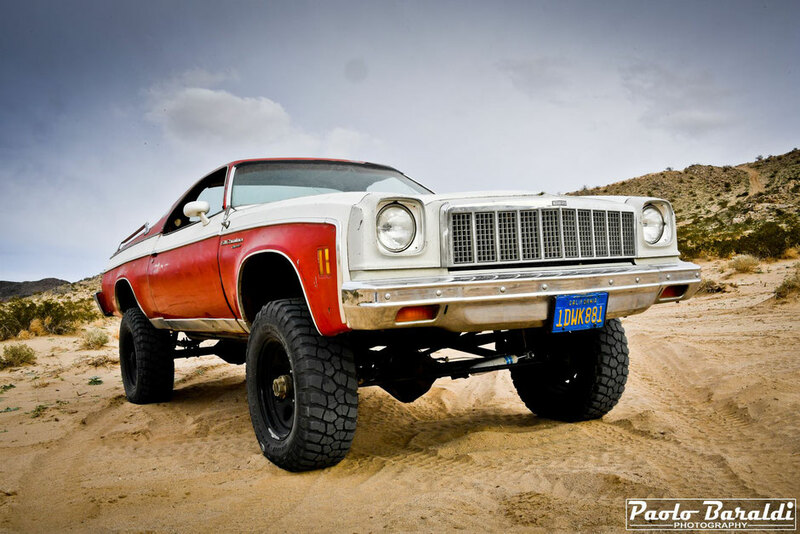 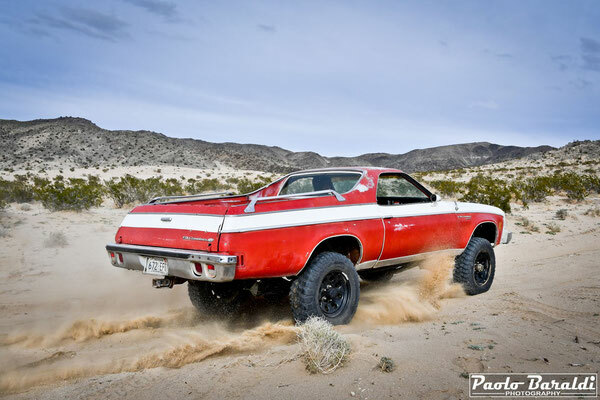 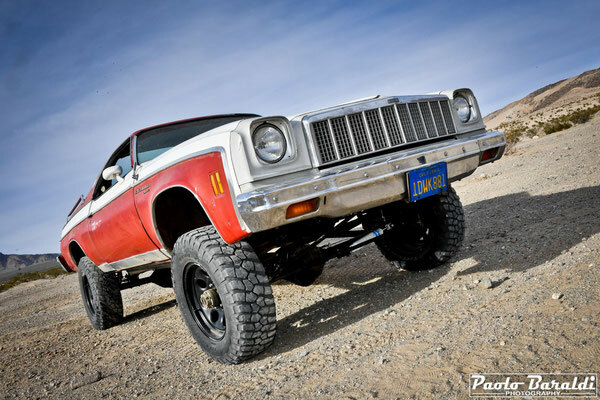 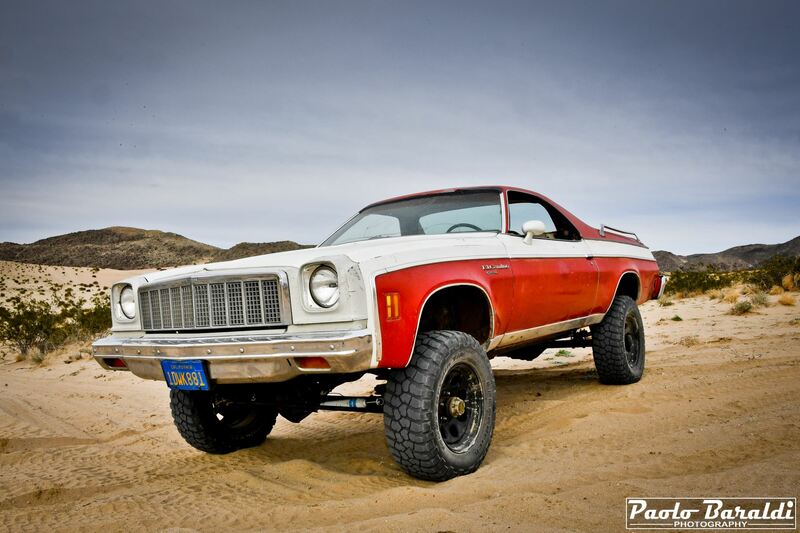 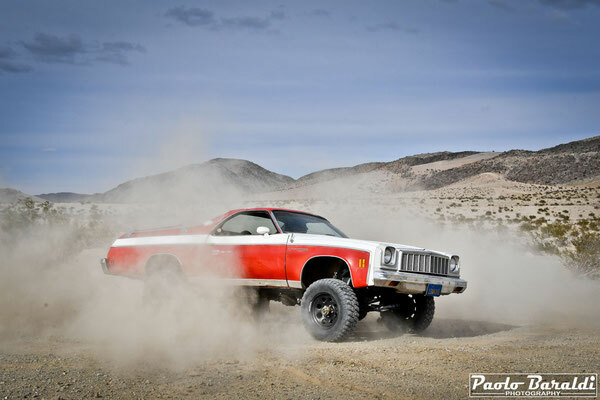 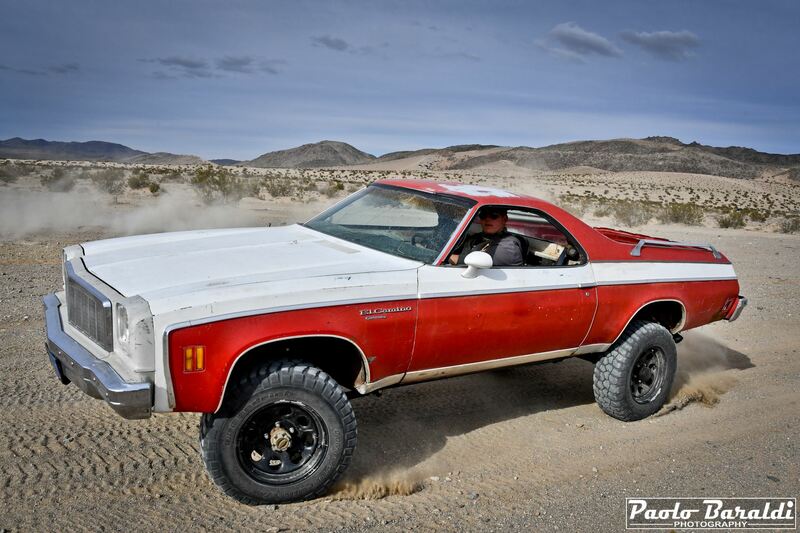 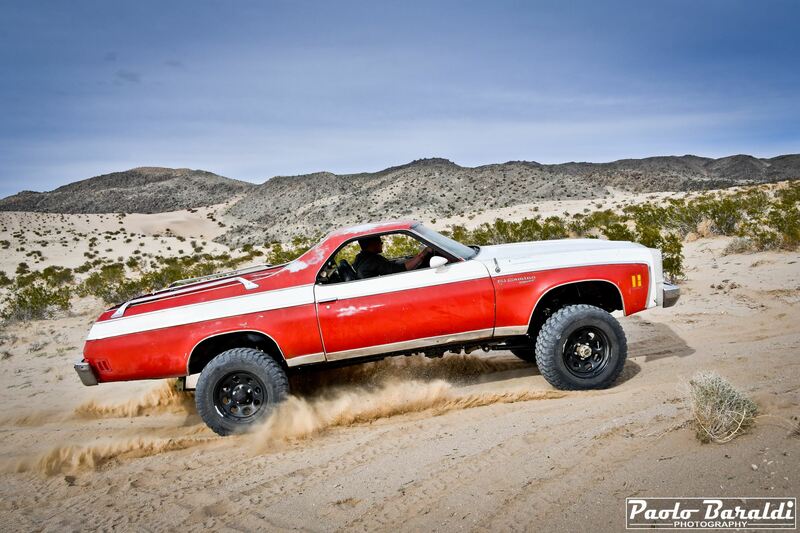 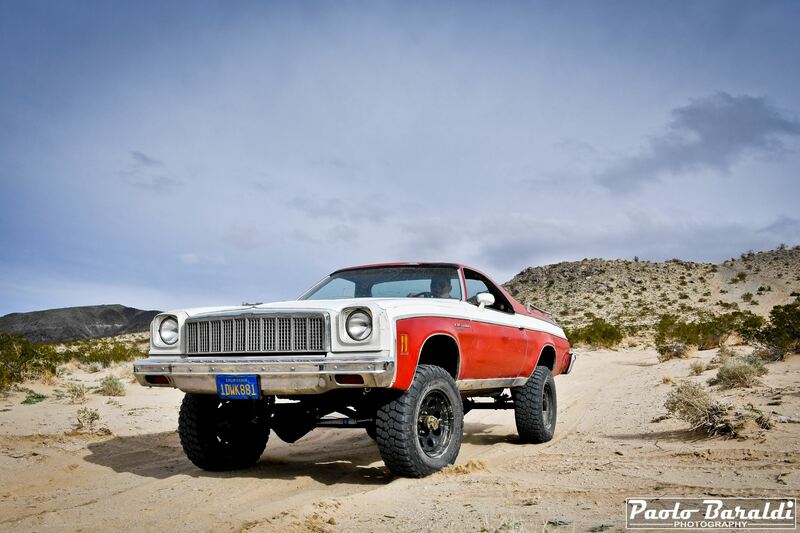 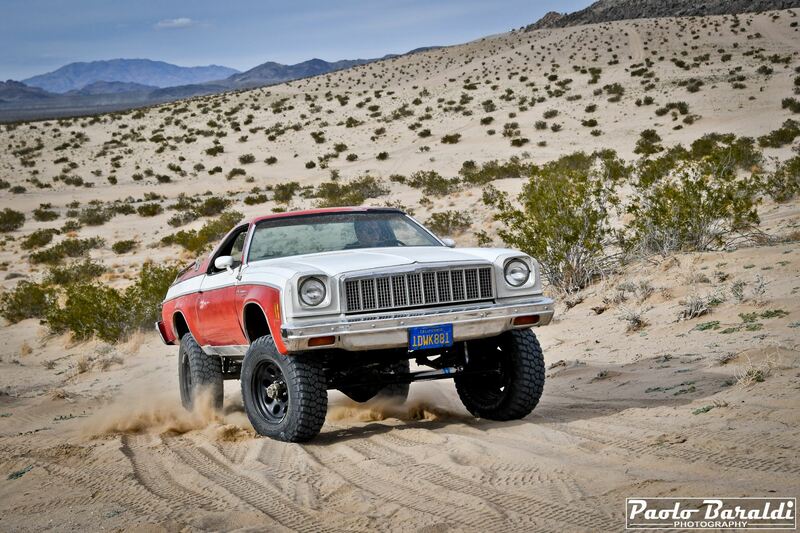 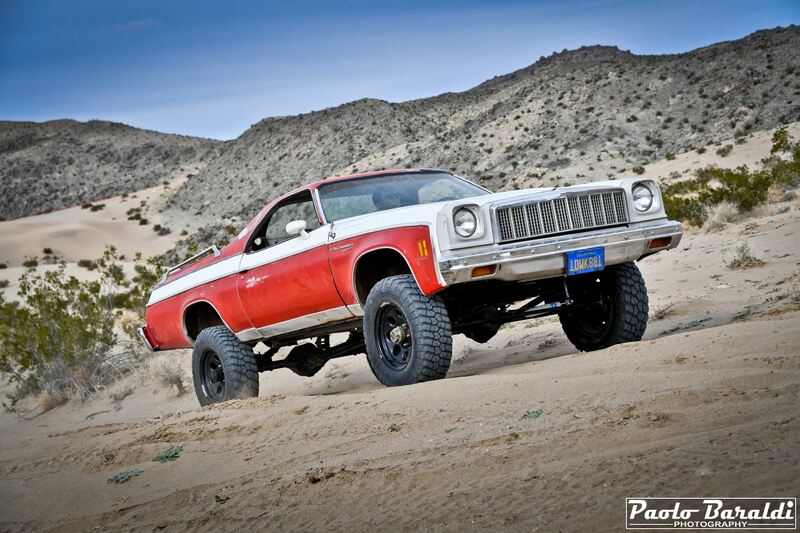 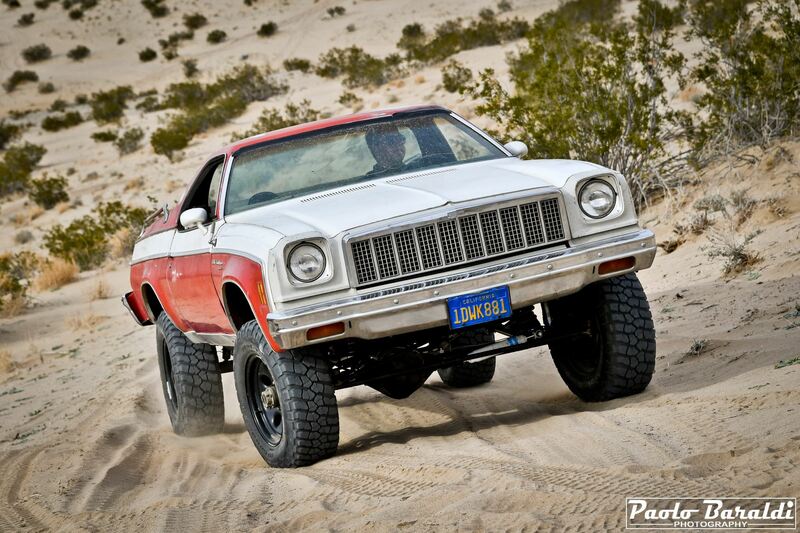 Beautiful story of a 1977 El Camino transformed into a 4-wheel drive per bet. 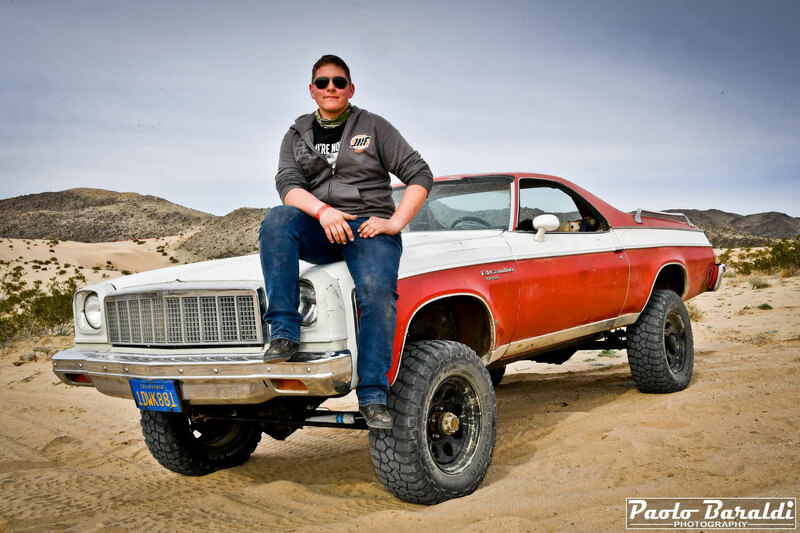 Garrett Davidson, from Nevada, inherited this El Camino from his grandfather, who used it to move around Silver State mines, Garret giving it new life as Hill Camino. Among the things I most like when I'm in Johnson Valley (CA) for the King of the Hammers, is to get out of the downtown of Hammertown and walk in the Lakebed, among the spectators' bivouacs, looking for unique and particular vehicles that born from the passion and imagination of the numerous off-roaders present for the KOH Week. 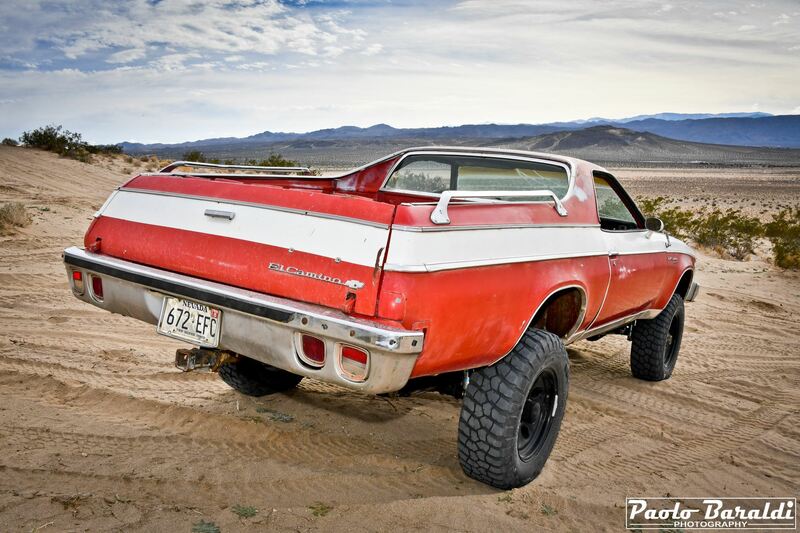 Every time I do it, I'm never disappointed. 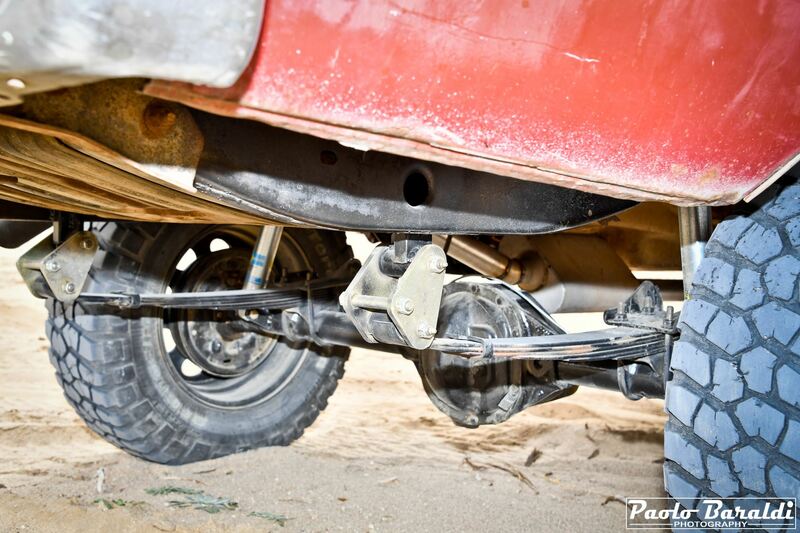 This year too it was like this! What I am about to tell you in this article, is the love story for a car shared between a grandfather and a nephew with the latter who has realized the project and his grandfather's dream. 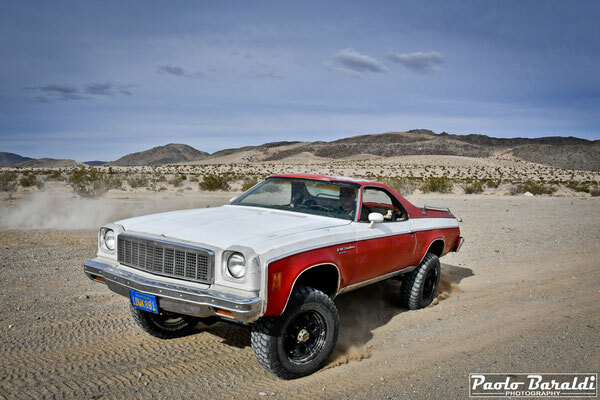 The protagonist of this story is an 1977 El Camino. 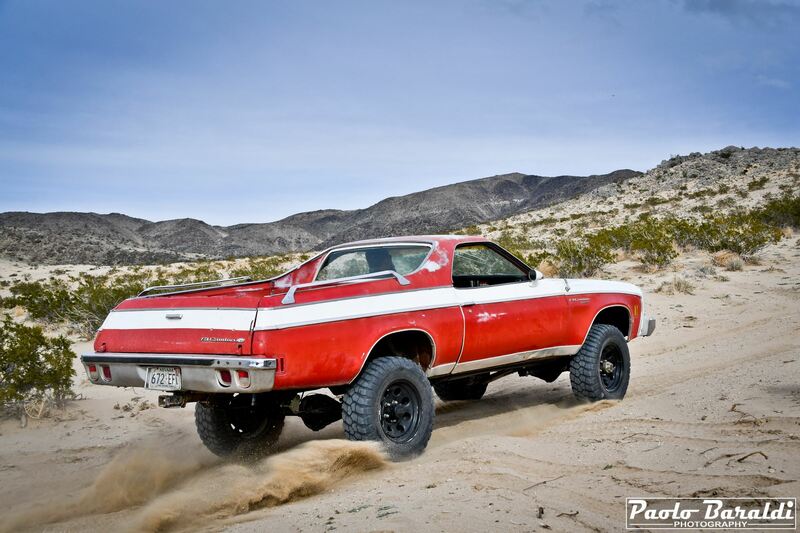 The Chevrolet El Camino is a particular pick-up vehicle produced by Chevrolet from 1959 to 1960 and from 1964 to 1987 for the US market. 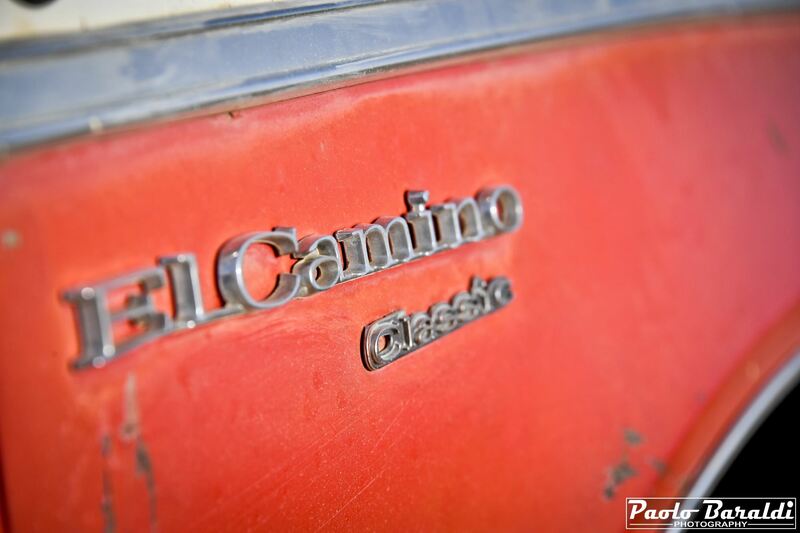 The El Camino was the car manufacturer's answer to the Ford Ranchero two years earlier. General Motors (the parent company of the Chevrolet brand) defined this type of car as a "working coupé". 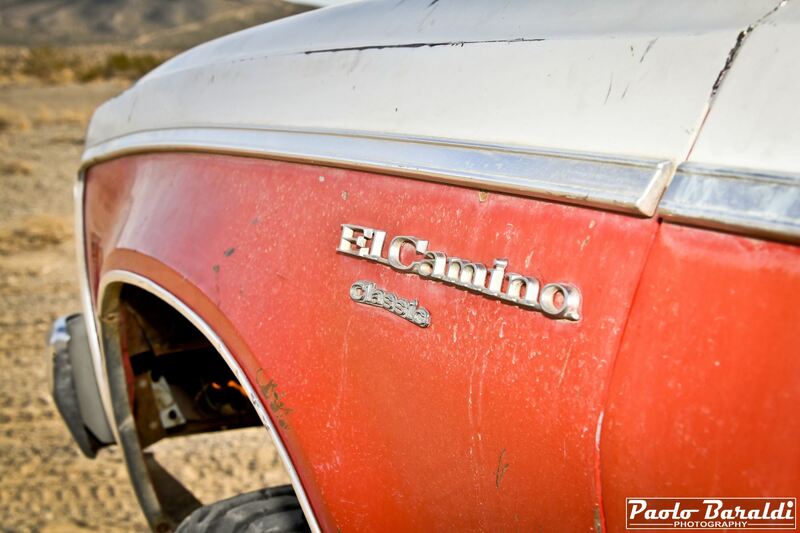 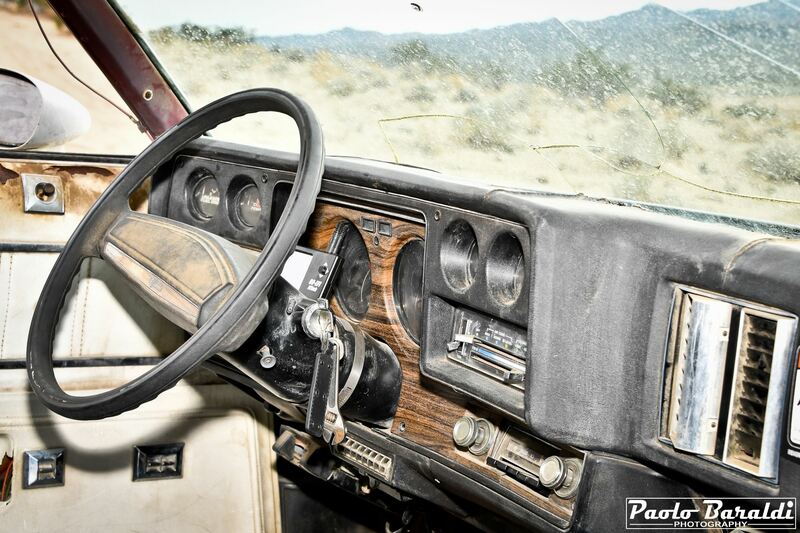 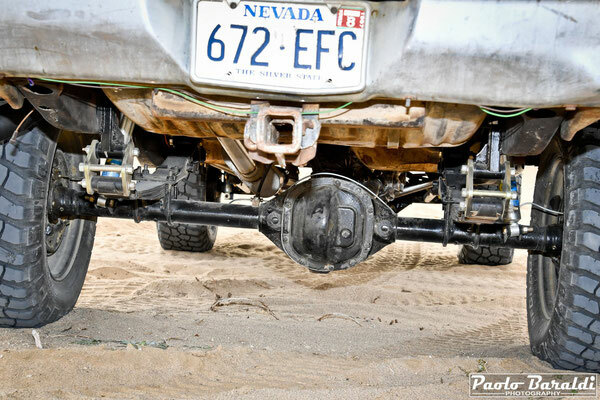 Garrett Davidson inherited this El Camino from his grandfather who used it in the mines of central and northern Nevada. 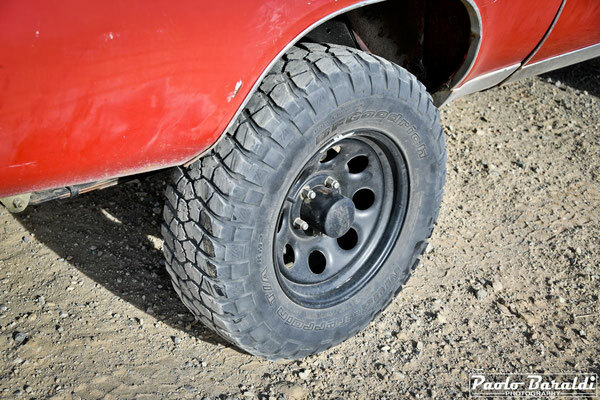 "Obviously, using it in these conditions", says Garrett, "the 2-wheel drive machine has been exploited beyond all limits. For these reasons, turning it into a 4x4 has always been a wish of my grandfather but he never had the time and money to do it. After I inherited the El Camino, a friend of mine's father bet that I would never be able to turn it into a four-wheel drive by spending less than $ 4,000. 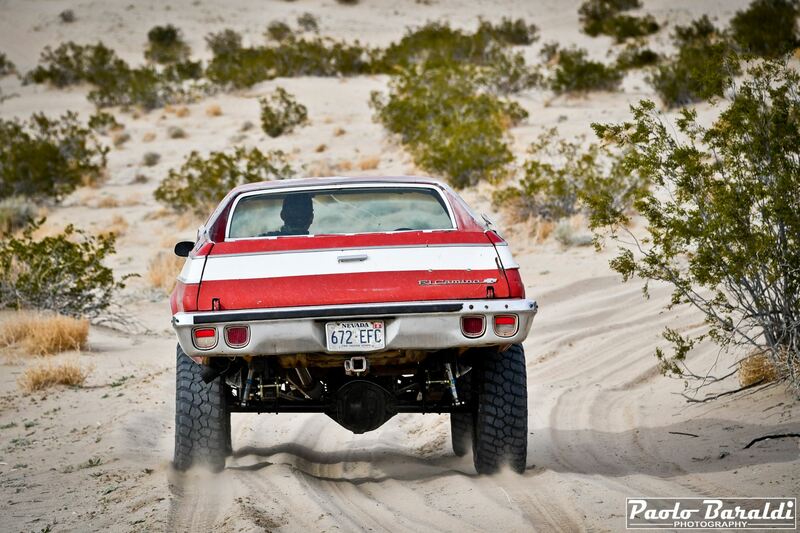 At that point I knew what I had to do!" The work of transformation of the El Camino began on December 19th, 2018 and to remain in the budget of the bet, Garrett used all recycled parts from other vehicles. 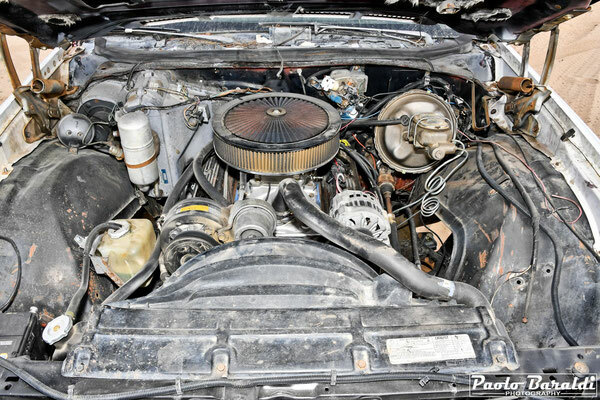 The engine used is a 350cc Chevrolet Small Block with a 700R4 transmission and a transfer case derived from a Toyota Land Cruiser. 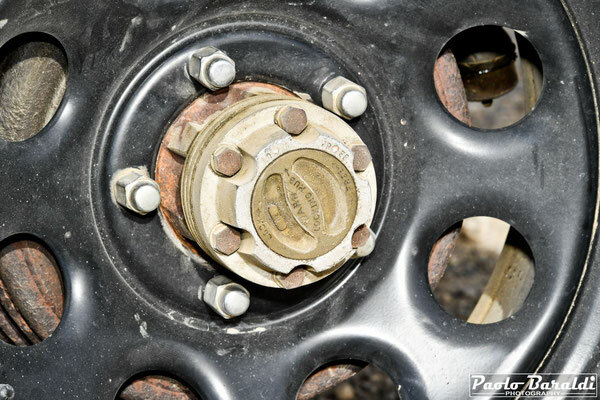 The most important work to achieve this transformation was to adapt the solid axles from a 1967 Gladiator (Jeep) to the El Camino. 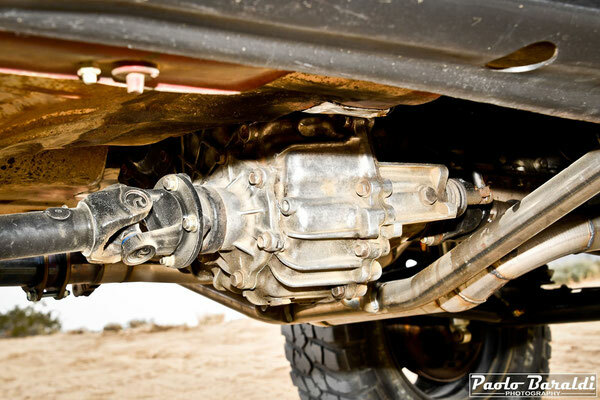 Front arms have been custom built and the original springs have been adapted. 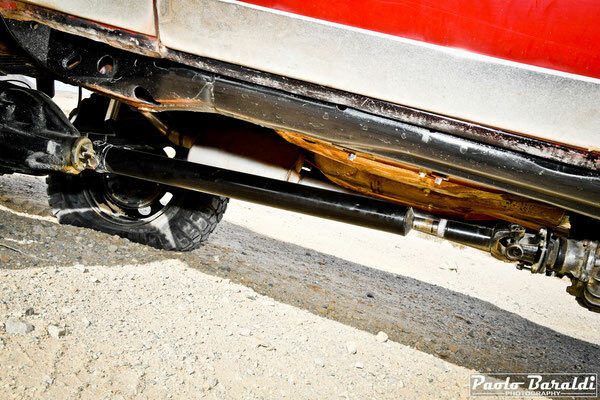 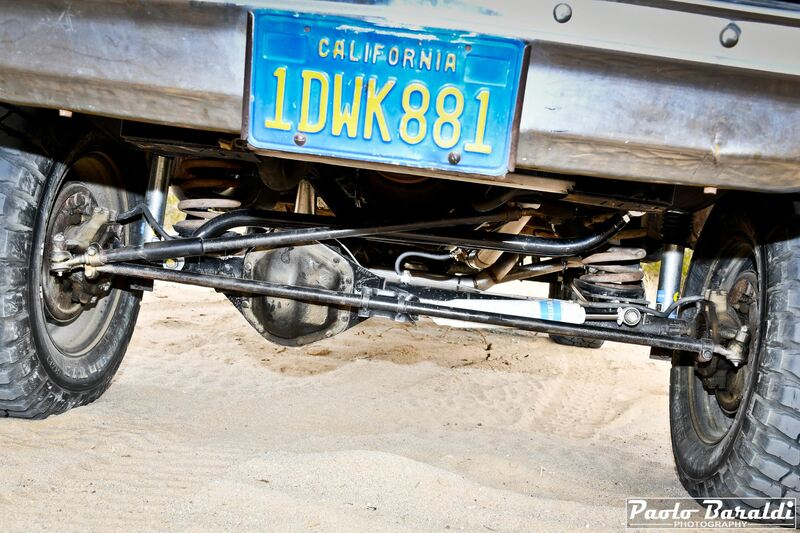 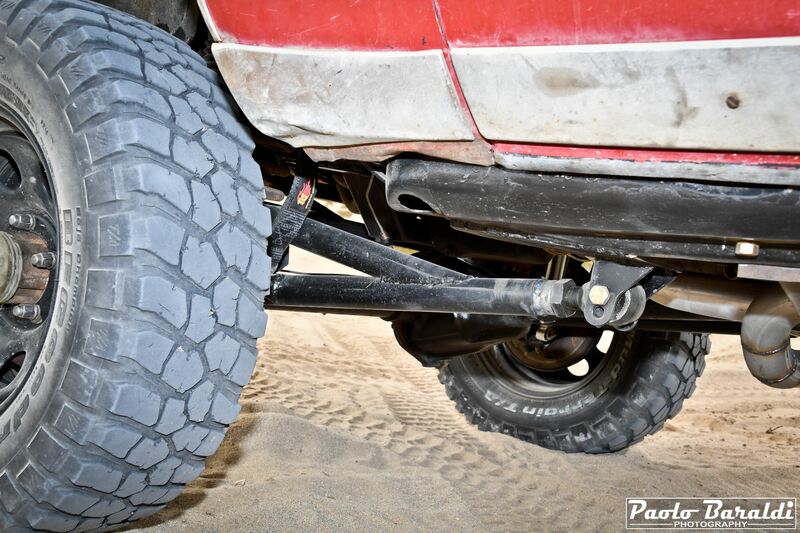 The leaf springs of a Toyota FJ40 were used for the rear. After just under a month and with the expenditure of only $ 2900 was born this beautiful Hill Camino; Garrett's first real journey with his new build was to get to the Lakebed to attend the King of the Hammers.